Plastic waste is a huge problem in Indonesia. Over the past few years, various images surfaced on the Internet and media showing how beaches on Bali – the famous island that forms the most popular tourist destination in Indonesia - are swamped by plastic garbage. Another example is the city of Bandung (West Java) where the Indonesian army had to lend a helping hand last year to fish plastic garbage out of local rivers. More recently, at the beginning of March 2019, new images surfaced from Padang (West Sumatra), showing piles of garbage – including plastic waste - that had been washed ashore. These images are obviously very negative publicity for Indonesia in foreign media and could make foreign tourists decide to opt for another, cleaner, location to spend their holidays. This would then undermine the Indonesian government’s target of welcoming a total of 20 million foreign visitor arrivals in full-year 2019. Indonesia - an Archipelago that consists of more than 17,000 islands and that is home to about 267 million people - is believed to be the world's second-largest contributor of plastic pollutants in the oceans, after China. And four of Indonesia’s rivers rank among the world’s top 20 polluting rivers (Brantas, Solo, Serayu, and Progo). According to Indonesian Environment and Forestry Minister Siti Nurbaya, some 9.8 billion plastic bags are used in Indonesia each year, and almost 95 percent of these plastic bags end up as waste. Meanwhile, the ministry’s waste management directorate estimates that the total number of plastic straws that are used by Indonesians, every day, has reached around 93 million. It are all staggering numbers. If you have around 267 million people living in a country (which excludes the targeted 20 million foreign tourists), then you can imagine that the amount of daily waste is huge. Moreover, amid strong economic growth, the expanding middle class of Indonesia is consuming more and more products (often containing, or wrapped in, some sort of plastic). 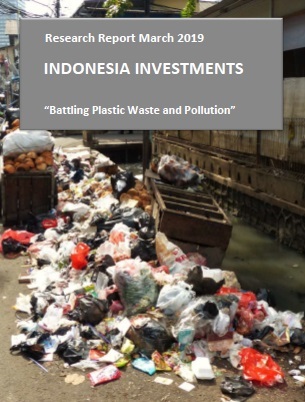 Indonesia is currently estimated to produce more than 190,000 tons of waste each day, the majority (around 57 percent) of which is organic waste. Plastic is estimated to contribute around 25,000 tons per day to total waste, of which - at least - 20 percent is believed to end up in rivers and coastal waters. • Why is environmental awareness low in Indonesia? • What are the government's efforts to combat plastic waste and curb consumption of single-use plastics?